I was born at Peplow in June 1941. My father was porter/signalman at Peplow station, and then became signalman at the Hodnet station box. I lived at what was then 2 Council Houses (now 2 The Woodlands) just up the road from Cran-y-Moor farm by the T junction at the bottom of the Avenue. Peplow in the 40’s and 50’s was a self-contained village, largely unchanged for many years. 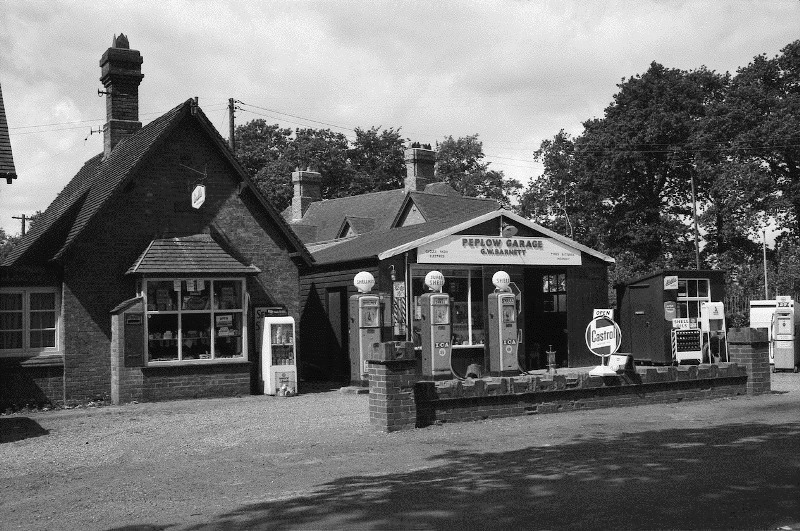 The shop and garage was also a Post Office and run by Mr Jim Taylor. Next to that, Jim Scott owned and ran the carpenter’s shop. The smithy was a working concern and pretty busy in those days. Enos Evans was the blacksmith and lived in the cottage adjacent to what was Ashes Farm across the road with his wife and family, including an ancient father – always known as “Old Mr Evans” – who had also been the village blacksmith in his time. Enos worked in close conjunction with Jim Scott the carpenter. For example, Jim would make wooden cart wheels and take them over to the smithy. Enos would make the iron rim for the wheel. There was a circular steel plate let into the ground in the smithy yard, with a hole in the middle to take the central wheel boss. Jim would lay the new wheel on this disc and stand by with several buckets of water. Enos and a helper, usually old Mr Evans, would bring the iron rim out of the smithy glowing bright red with heat and slip it over the wheel, whereupon Jim and Enos would pour water on it to cool it down and prevent the wooden wheel catching fire. Amid clouds of steam and loud hissing noises, the iron rim would shrink onto the wheel, pulling all the joints tightly together. It must have taken a lot of skill and knowledge on Enos’ part to make the rim the exact size to fit when cold, let alone Jim’s skill in constructing the wooden wheel! The railway station was also a going concern, with a thriving seasonal trade in sugar beet for Alscott Refinery, sleepers for farmers to use as gateposts, and various other commodities. There were at least seven trains a day in either direction. There was a large bike shed for the use of service personnel from Peplow (Childs Ercall) Airfield, although this fell into disuse when the airfield closed. Buses ran on two days a week to Shrewsbury and Market Drayton, and one day a week to Whitchurch. There was no school; we all walked the two miles or so to High Hatton in all kinds of weather. When we passed the age of 11, we caught the school bus to Market Drayton from the crossroads for the Grammar School or the Secondary Modern (now combined into the Grove School). Enos let us shelter from inclement weather in his smithy in the winter, or failing that, we would cram into the telephone box! We left our bikes at Ashes Farm. We also collected our milk in cans from there, direct from the cooler in the dairy as often as not. Peplow Hall was owned by Beville Stanier. He laid on a Xmas party for village kids in the Reading Room every year. Peplow Mill was also a very busy place. The chief local farmers were Sam Cottrell at the Home Farm, Charlie Gatensbury at Cran-y-Moor, The Perrys and the Griffiths on the Avenue, and the James further up, near the A442. There was also Mr Greenhalgh at Highway Farm, and Will and Winny Appleby in the little farm on the A442. He was a Canadian and he and his wife kept the village kids supplied with goodies during and after the war by means of food parcels from his relatives over there – a lovely kind couple they were – no young children at home of their own. 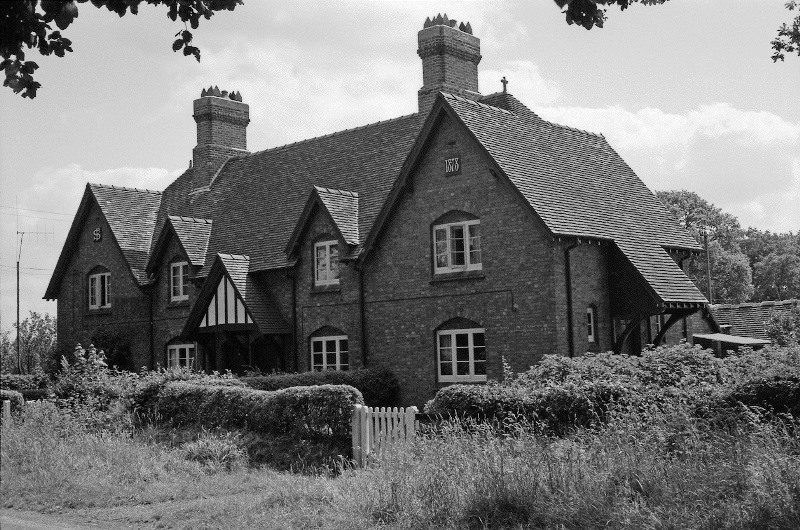 Tom Jarvis lived in Highway Cottages – the one nearest Hodnet. He kept rabbits in hutches in the back garden and I used to play with his son and daughter when I was younger. Geoff has provided the Hodnet website with a good number of other photographs from his time living in Peplow. You can find them on the following pages: Old Photographs: Peplow; Old Photographs: Community Sport; The Wellington – Market Drayton – Nantwich Branch Line.